The World Health Organization is calling for more efforts to prevent and control high blood pressure, also known as hypertension, as part of its annual observation of World Health Day. According to a WHO news release, hypertension is a major contributor to heart disease and stroke, which combined are the world’s top cause of premature death and disability. The release says hypertension contributes to 9.4 million deaths from cardiovascular disease each year, and increases the risk of conditions such as kidney failure and blindness. 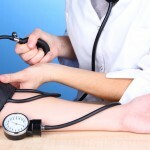 Fortunately, hypertension is treatable both through lifestyle changes and medication. But some medications may cause health problems of their own. Two clinical drug trials have prompted a U.S. Food and Drug Administration investigation into whether the blood pressure drug Benicar increases the risk of heart-related deaths. A recent Mayo Clinic report has also linked Benicar to stomach problems including chronic diarrhea, vomiting, intestinal inflammation and weight loss. The WHO says the prevalence of hypertension is highest in Africa, where it affects 46 percent of all adults. Even though its prevalence is lowest in the Americas, it still affects an estimated 35 percent of all adults. The first step in preventing or treating hypertension is detecting it, so the WHO urges all adults to get their blood pressure checked. The organization says adults can also help keep their blood pressure low by consuming less salt, eating a balanced diet, getting regular physical activity, and avoiding tobacco and excessive alcohol. You should consult with a doctor if you have any ongoing symptoms or health concerns, and before making any changes in medication. You should also consult with a lawyer if you have injuries connected with Benicar.